Wood floor Long Island has been serving client in Long Island Brooklyn ,Manhattan, Bronx ,Long Island wood flooring Long Island have a knowledgeable team working in our dedicated showrooms located in Long Island. Wood floor Long Island specialize in offering the highest quality hard wood and soft wood flooring, installation and refurbishment at low, affordable prices. in NYC , Manhattan, Long Island, Brooklyn long island, Sate Island. Our goal is to offer you the highest levels of service, the best range of quality wooden flooring for the most competitive price. We invite you to contact us, browse our website, visit our showrooms, or request a sales person to be sent to you. 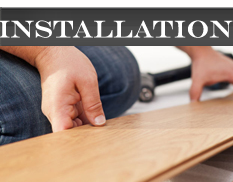 We do not sub-contract any work, instead employ a team of qualified fitters ready to install your brand new wood floor so that we can be sure it is fitted to the highest possible standard. wood floor manhattan want to make sure that we leave you with a wood floor that both you can be proud of, and we can be proud of. We do not leave a job if the wood floor is not fitted to the highest standard, so we do not allow our fitters to work alone until they have endured strict training under our watchful eye and we are 100% sure they are able to fit our wood floors to the standard we expect. We have many wood floors in stock including Ash , Beech , Cherry , Maple , Merbau , Oak , Smoked Oak , Red Oak Walnut and many more. The wooden floors available also come in a variety of different finishes including lacquered, oiled, brushed and oiled, brushed and lacquered, antique, hand scraped, prime and rustic. Please contact wood floor Manhattan 516-284-8115 or fill out the contact us form to arrange a free, no obligation site consultation. 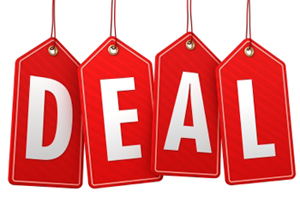 In order for us to offer you the lowest possible prices( for coupons) on our wood floors we do not run costly showrooms, instead we arrange site consultations with our representatives who then bring the samples of the wood floors to your home. This way the savings can be passed directly back to you, the custome. New installations Wood floor Long Island Long Island wood flooring offers a variety of installation methods of parquet blocks and solid wooden floors to suit the type and condition of your sub floor. 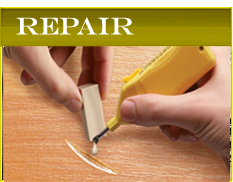 Our service is very versatile and comprehensive including secret nailing onto battens or existing floorboards, gluing down onto concrete and floating if necessary. Striving for excellence wood floor Long Island use the very best equipment available and our attention to detail is second to none. 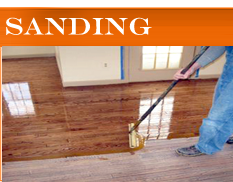 Wood floor Long Island offer a restoration service (sand and seal) that will reinstate your floor to its previous glory. We only use equipment from the worlds leading manufacturers to ensure the surface is level and smooth and free of old scratches and stains. We use hard wax oil for a finish, applied in two coats by brush to guarantee proper protection of your floor. All materials used have been tested and proven over many years of experience call us at 516-284-8115. Hardwood Floor Installation If you are thinking about installing wood floors in your home or office, you’ve come to the right place! Wood Floor Long Island Service provides reliable hardwood floor installation services in Long Island, Manhattan,Brooklyn, and Long island area area, helping clients accomplish their goals for a beautiful space that looks and feels new. I researched many review sites, and decided to go with these guys. I can not say enough good things about Wood Floor Long Island. The service was outstanding, the price was good, the installation was a real work of craftsmanship. I have never seen a better installation of hardwood floors and tile, ever! I am a perfectionist and there was not one thing wrong with this job. We had about 1,000 sf of tile removed and 1400 sf of hardwood flooring installed. Wood Floor Long Island team did an amazing job with flooring in my whole house!! Great quality, good prices, was done very fast, guys have great experience and they know what they doing! Michael very nice and helping with any question i had!! Thank you guys for awesome job and for making my house look new again! I would recommend them to anyone and everyone i know!! Service Area in NY :New York New Jersey Nyc,Manhattan Brooklyn Bronx County Long Island County Staten Island Nassau County Suffolk County Westchester County Rockland County Bergen County Essex County Middlesex County Mercer County Monmouth County Passaic County Sussex County Hudson County Morris County Somerset County Union County Hunterdon County Atlantic County Burlington County Camden County Cape May County Cumberland County Gloucester County Ocean County Salem County Warren County .